Vink System Design & Analysis provides companies with engineering services in the field of precision engineering. The company is a reliable and result-oriented partner for the development of complex opto-mechanical and mechatronic systems requiring a high degree of accuracy. 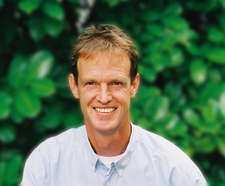 Vink System Design & Analysis was founded in 2007 by Jaap Vink. He has more than twenty years of experience in high-level multidisciplinary development teams at MAPPER Lithography, ASML and Océ. His experience guarantees fast, thorough and effective results throughout all phases of the development process, thus enabling companies to achieve their objectives. Is the required stiffness met? Are the material stresses within limits? Is there no hidden stick-slip? Does the assembly meet its accuracy when all production tolerances are accounted for? Fix the issue with non-visible contents of the help function and fix the issue with blurry fonts under Windows 10. Want to know more or do you have questions? Please contact us.